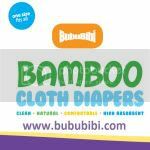 BubuBibi - www.bububibi.com - Bamboo Cloth Diapers: Happy Mother's Day to my grandma.... You'll always be in my heart! Happy Mother's Day to my grandma.... You'll always be in my heart! Mother's Day is a day to celebrate all the great mama out there. 11 years ago, Mother's day was on May 9th. My mom dislike Mother's day because it brings sad memories to all of us. I just recently read a blog posted by a girl talking about her nanny. 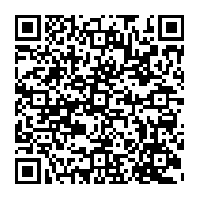 It reminded me of mine. Mom's mom used to be a midwife. She would be gone for a month each time because in our culture, the women takes about a month to recover from child birth and during this whole month, she will help with the baby and food preparation for the new mom. She has been doing this for years and I do get to see her when she is between her clients, she would always come to live with us for a couple of days before heading on to her next assignment. May 1999, she had a couple of days break and she came to live with me. I still remember, she made my favorite dish and this is what she told me. She said, Laura, when you have your baby, remember to hire someone with this and that, because you will feel more comfortable with this person if she does this and that. I just said yes but in my heart, I said, why do I even bother because when I have my baby, you will still be around to help me. I love your cooking and I don't have to worry. Then, I made plans with grandpa and grandma to have breakfast on Mother's Day, May 9th 1999. I have NEVER had breakfast with just the 2 of them, it was something special. Since they live with my uncle, the plan was for them to take the bus to meet in the morning market. We were supposed to meet there around 8+. Then, suddenly at around 6+am, the phone rang. I am never a morning person, it takes me forever to get out of my bed and I picked up the phone and heard my aunt frantically screaming saying that something happened to grandma, call your mom. I ran to mom's room, passed her the phone and we all quickly dressed up and drove 20+ miles to the hospital. Though, on the way to the hospital, grandma passed away in the car, next to grandpa. It's very sad, I remember growing up, seeing movies where the family members would go to the hospital and all they see is their loved ones, being covered with a white cloth, by the time we got there, that's what I saw. I remember crying, I kissed her. I use to be really scared but I remember I wasn't afraid, because she was someone I love a lot. 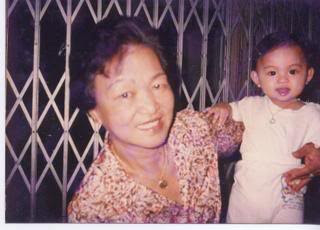 She was the one who took care of me for years when I was a kid. I asked myself if she knew that this is coming, why a few days before this happened, she would tell me about who should take care of me if I have a baby and made my favorite dishes. She did not mention about not feeling well. Worst of all, grandpa carried the guilt for many many years. The reason is because he has hearing impairment and he takes off his hearing aid at night, so, he is virtually deaf and couldn't hear grandma calling on the floor, by the time he found her, she was already not making it. We suspect grandma felt pain in the chest and got up to took some medication but she tripped and fell on the floor and was on the floor for hours before grandpa got up. So, that year, grandma passed away on Mother's Day. We never got a chance to do what we wanted, just the 3 of us having breakfast in the morning market. I just wanted to tell you "poh poh" is what I call her that we will always think of you and we will always love you where ever you are. We Love You - Happy Mother's Day! Happy Belated Mother's Day to all!